Beck in Montreal or Quebec City? Inform me about the next events for Beck. Enroll yourself to our priority waiting list for Beck to be alerted when new tickets are available. Filling this form doesn't engage you to any purchase. 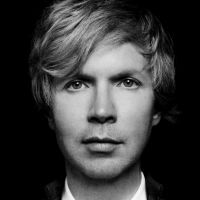 Beck will be coming to Quebec City this summer ! On Thursday, July 12th, 2018, Beck will be playing on the Abraham Flats, with Phoenix as the opening act. One of the most successful artists of the 1990's, Beck remained one of the most prolific and valued stars of the alternative pop scene. With his new album Colors in tow, Beck will "wow" the crowd at FEQ !